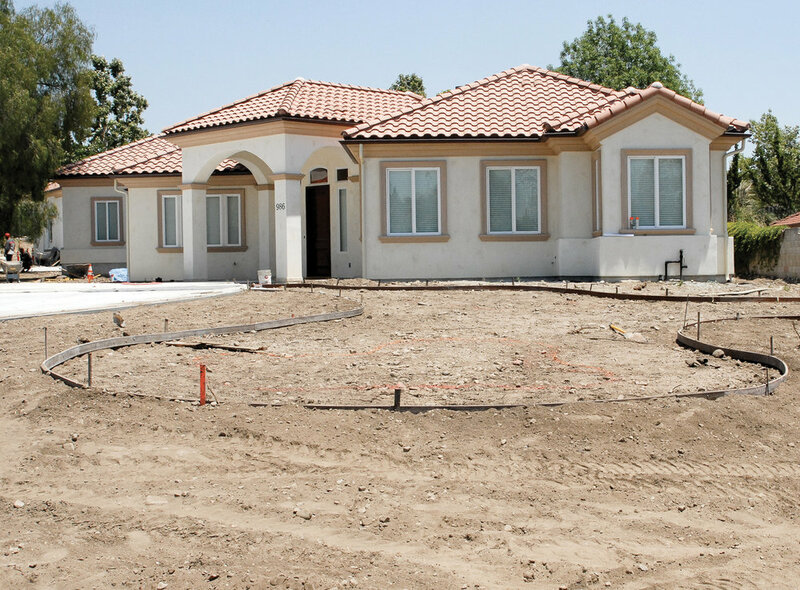 Grade property, prepare soil, and install irrigation. 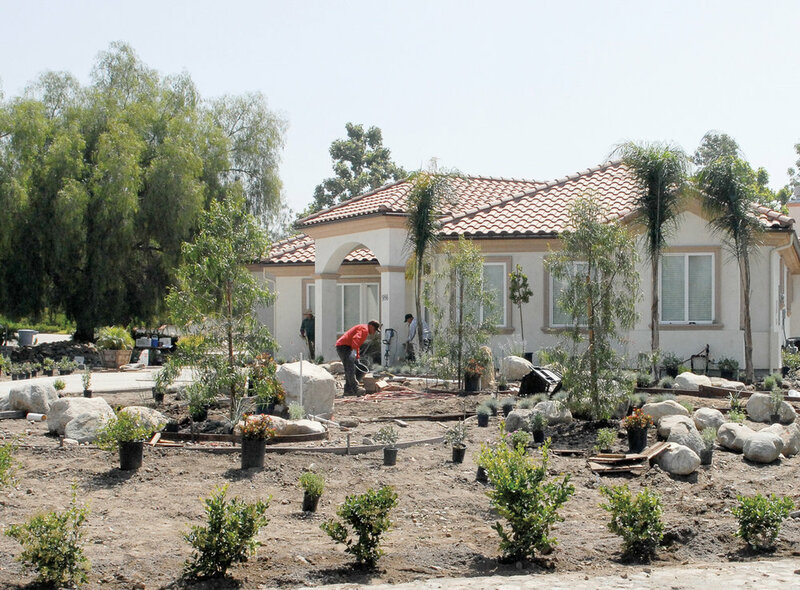 Continue irrigation work, place boulders and trees. 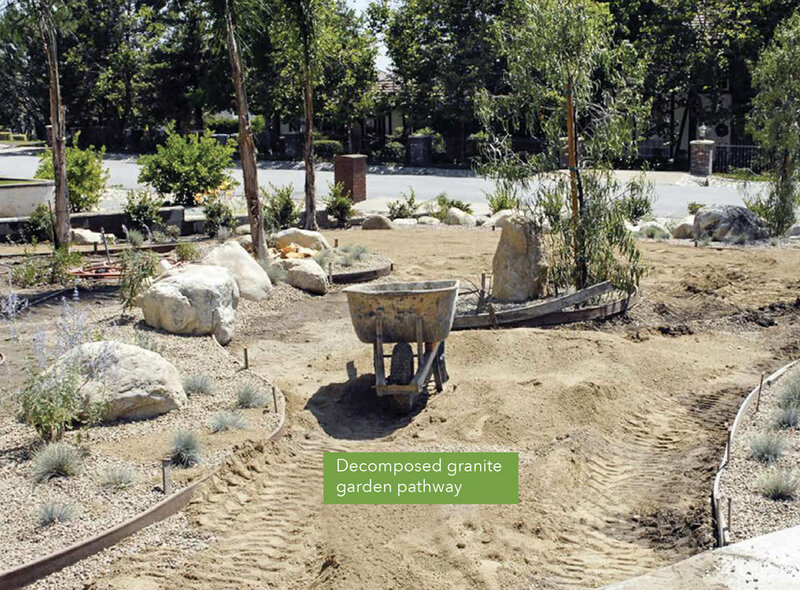 Be sure to partially bury the boulders so their placement looks natural and not plopped in place.